​After we receive the nomination, we will send a Nomination Questionnaire to the person being nominated, which will require a signature by their immediate supervisor, if applicable. The nomination and the questionnaire will be submitted to our judges and will be scored based on a point system designed by other apartment associations within NAA. Property Management Company of the Year: Presented annually to a Property Management Company that provides employee retention/incentives through benefit programs and educational opportunities, also, provides resident retention programs, GLAA involvement and Company Community Outreach. Community Improvement Award: Based on property upgrades, improvements, additions and added amenities, etc. All projects and improvements must have been completed within the last 12 months. Apartment Community Overall Team of the Year Award: Presented annually to a Property Team, which includes all staff members that work together to motivate each other and provide a great workplace. Multi-Site Property Supervisor of the Year Award: Presented annually to a Multi-Site Property Supervisor who will have demonstrated superior achievements and accomplishments in his/her career over the past year. Property Manager of the Year Award: Presented annually to an On-Site Property Manager who will have demonstrated superior achievements and accomplishments in his/her career over the past year. Assistant Manager of the Year Award: Presented annually to an Assistant Manager whose knowledge and performance of duties will have contributed to increased resident retention and occupancy levels as well as a commitment to resident relations on his/her property during the past year. Leasing Consultant of the Year Award: Presented annually to a Leasing Consultant whose knowledge and performance of duties will have contributed to increased resident retention and occupancy levels as well as a commitment to resident relations on his/her property during the past year. Maintenance Supervisor of the Year Award: Presented annually to a Maintenance Supervisor who has demonstrated supervisory skills, technical knowledge, and performance of responsibilities that have resulted in increased resident retention and occupancy levels as well as a commitment to resident relations on his/her property(ies) during the past year. Maintenance Technician of the Year Award: Presented annually to a Maintenance Technician whose technical knowledge and performance of duties will have contributed to increased resident retention and occupancy levels as well as a commitment to resident relations on his/her property(ies) during the past year. 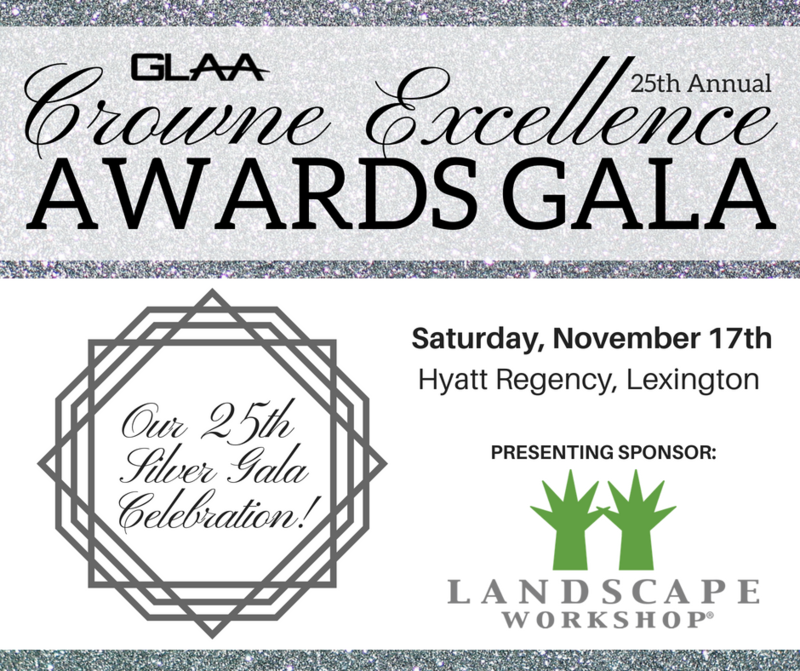 Groundskeeper / Housekeeper of the Year Award: Presented annually to a Groundskeeper or Housekeeper whose knowledge and performance of duties will have contributed to increased resident retention and occupancy levels as well as a commitment to resident relations on his/her property(ies) during the past year. Individual Property Member Rookie of the Year Award: Presented annually to a “Rookie” to the multi-family housing industry. To be considered for this award, nominees must have been in their current position for less than 1 year at the time of nomination on or before September 10, 2018. Individual Property Member “Dottie Stinnett Distinguished Service to GLAA" Award: Presented annually to a Property Member who has exhibited the most outstanding volunteer efforts toward any phase of GLAA activities and events during the past year. ​​Nominations are now closed. | Contact GLAA for for more info!